05.00 pm – Banana toasts for afternoon break! The last passion fruit left. 11.30 pm – Had Alterni’s Annalax for my cough. 11.00 am – Had breakfast. a single thread which acts like a tweezer. Cost? RM6. Reasonably priced + efficient. Kalpana the plucker has been plucking for over 20 years already. 02.30 pm – Went over to Queensbay to pay for the tickets to Quantum of Solace. Packed. Long lines. Took about 10-15 minutes. Emptied my usus several times. 4 I think. 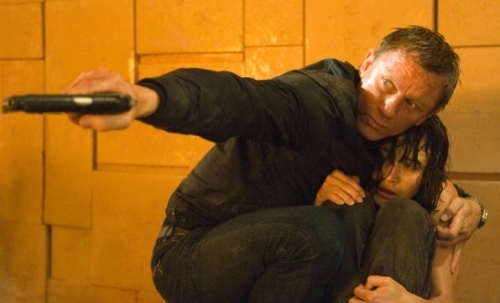 04.45 pm – Watched Quantum of Solace. I liked it. Action packed! Cherry Blossom. And I just learned that they own Bukit Genting’s Thai Restaurant too. The very, very mouth watering Thai dessert that consists of water chestnut and jackfruit. 11.00 pm – Filled up PCJ with some Synergy F-1. 11.30 pm – Did a little reading.